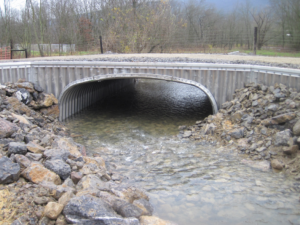 The project included the removal of 23′ long twin 57″ wide x 38″ long CMP arch culverts and replacing them with a 31.5′ long x 15’1″ wide x 5’8″ high aluminum box culvert on the driveway leading into the Lewis Township Municipal Authority’s Wastewater Treatment Plant. 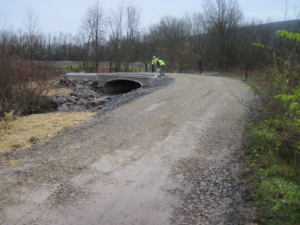 This project site required the excavation, removal and replacement of the existing structure, stream channel improvements, site restoration, placement of rock and fill and roadway restoration. We worked closely with the Municipal Authority to replace the existing undersized twin-pipe culvert across the plant entrance driveway. 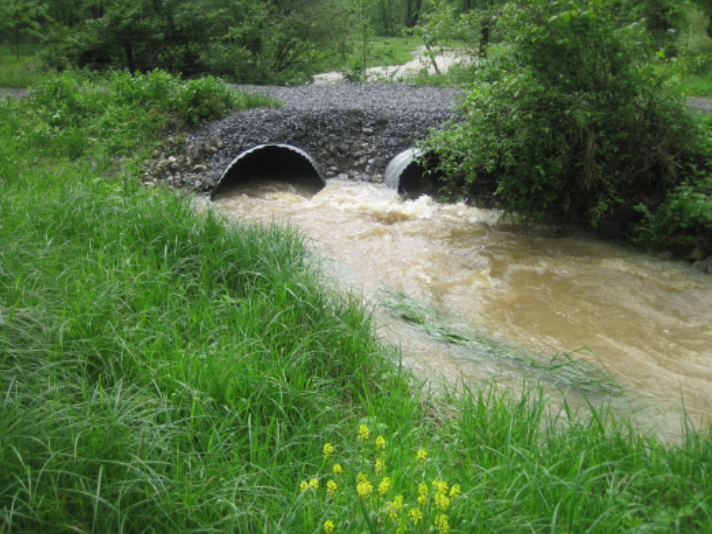 This project entailed the replacement of the existing culvert, stabilization of the upstream channel and realignment of the driveway. 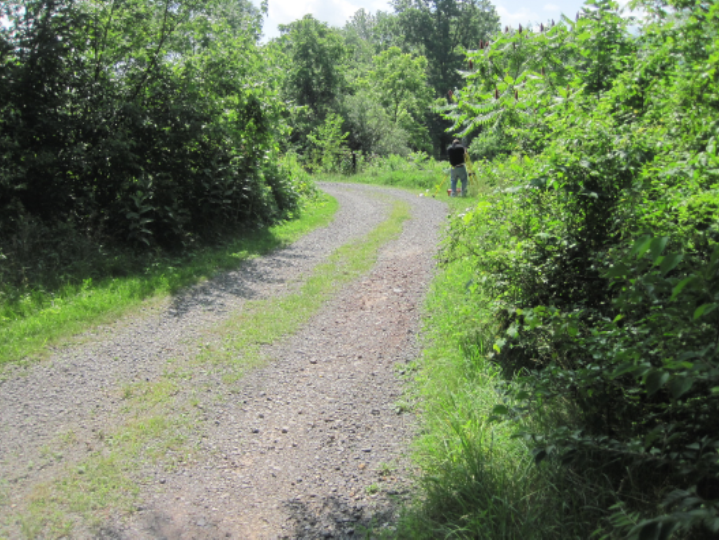 The project was completed by Dave Gutelius Excavating, Inc. located in Mifflinburg, PA.